Have you just moved into a new house or office? Did you recently experience a break in at your home or office? Have you lost your key? Do you have an ex-employee that has refused to return his office key after being fired? Do you have an ex-significant other that you recently broke up with may be holding onto a key copy? Or are your home or office locks difficult to lock and unlock? 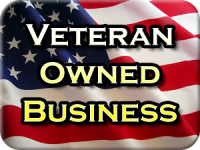 For all of these reasons and many more, rekeying your house or business makes sense. When you buy a home, you may think that you have been given all of the key copies, but who really knows how many copies were made and may be floating around out there. Friends and family of the previous owner may have had copies. Construction crews (if the home is new) may have copies. There is no way to really know. When you fire an employee or break up with an ex, they may return the key – but unless you have a Master Key System, how do you really know if they made a copy? You don’t. When you rekey the locks, you don’t have to worry about any of this. You are taking back control of your home or office security. Some people choose to replace door locks in these situations, but replacement can be time consuming and expensive. Rekeying can save both time, money, and headache. When locks are rekeyed, the internal workings of the locks are reconfigured so that a new key opens the lock and the previous key(s) are rendered useless. Should you rekey or replace your locks? There are pros and cons to each, but it is important to know that entirely replacing the locks will usually cost more money. This is especially true the more doors and locks your home has. If you only have one or two locks, you might save a little money to purchase new locks and install them yourself, but if you have several locks you will likely be way better off to call a locksmith. Most locksmiths charge a standard service charge for the visit and then a small add-on charge for each lock. 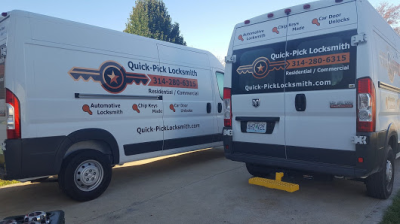 Ultimately it is your decision, but you should definitely consider rekey service before potentially wasting time and money on replacing all of your locks unnecessarily. You may really be into DIY projects and would like to attempt DIY rekeying of your locks. While this may be possible, you should be aware of how tedious it can be, even for the most experienced of DIY handymen. To do this, first you need to make sure that you have the old key. If you have lost your house key, rekeying will not be an option as part of the process requires the old key to remove the lock cylinder plug. But if you have the old key, the first step would be to pick up a rekeying lock kit that is compatible with both the manufacturer of the lock and lock type. Detailed instructions are included in these kits. With the old key and the kit, now you are ready to DIY rekey your locks. Be prepared to spend many hours on this project. It is not going to be easy. But if you call a locksmith, your locks can be rekeyed quickly and efficiently by a seasoned professional. For most people, the service fee is well worth it.